In my three previous posts I wrote about the great adventure of finding and revealing the lost gas/electric sconce locations in the Cross House. When I purchased the house in 2014, I knew nothing about gas/electric lighting. 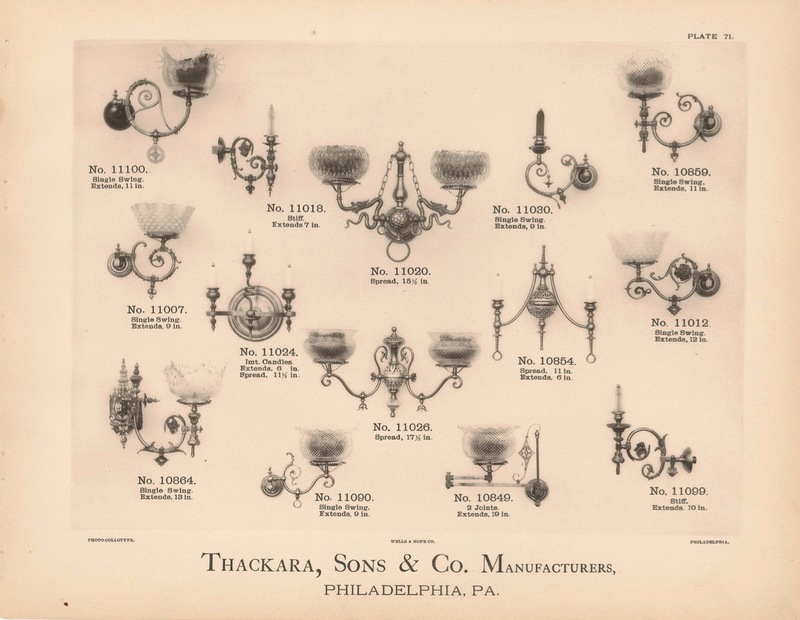 Indeed, even though I sell vintage lighting for a living, I knew nothing at all about Victorian-era fixtures, as I specialize in post-1920 lighting (which is FAR more available). So, doing the research of these posts has been fascinating, and I thought I would share a bit of what I have learned. 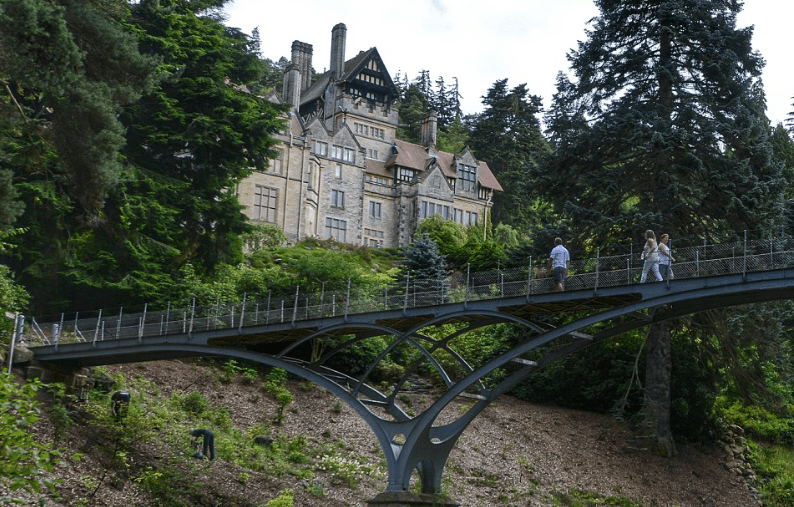 In the UK, the first house with electric lighting was Cragside. The lighting was installed in 1880. 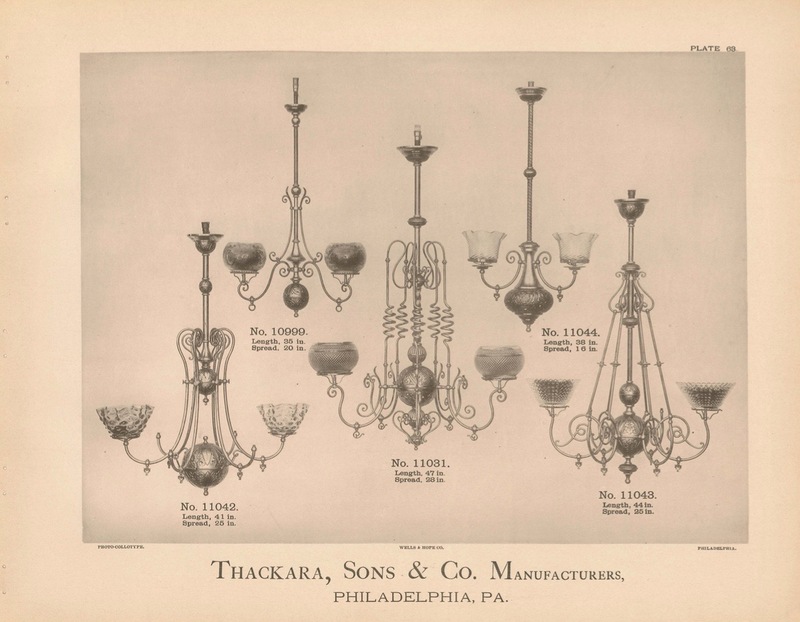 An 1887 Thackara, Sons & Company catalog offered only gas lighting. LOVE the chandelier in the center. And gas sconces. 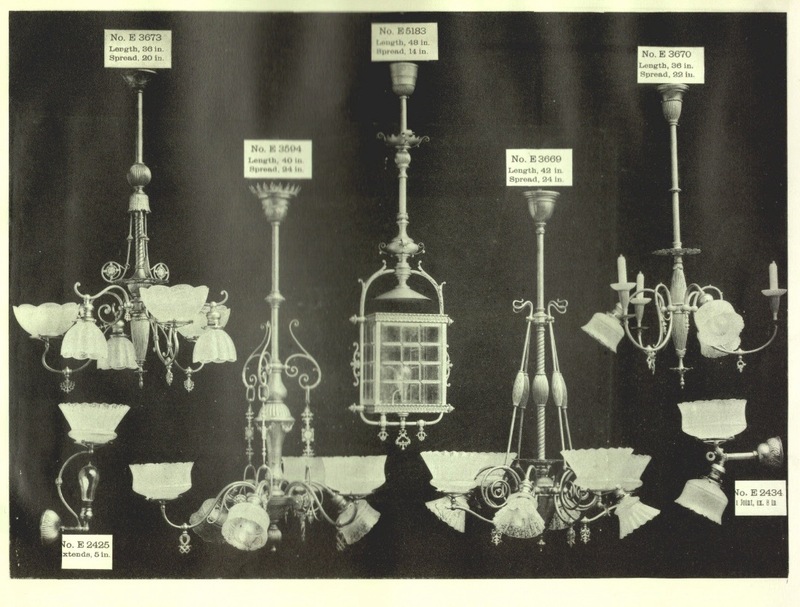 When the Cross House was built in 1894, all these fixtures would have been considered terribly old-fashioned. 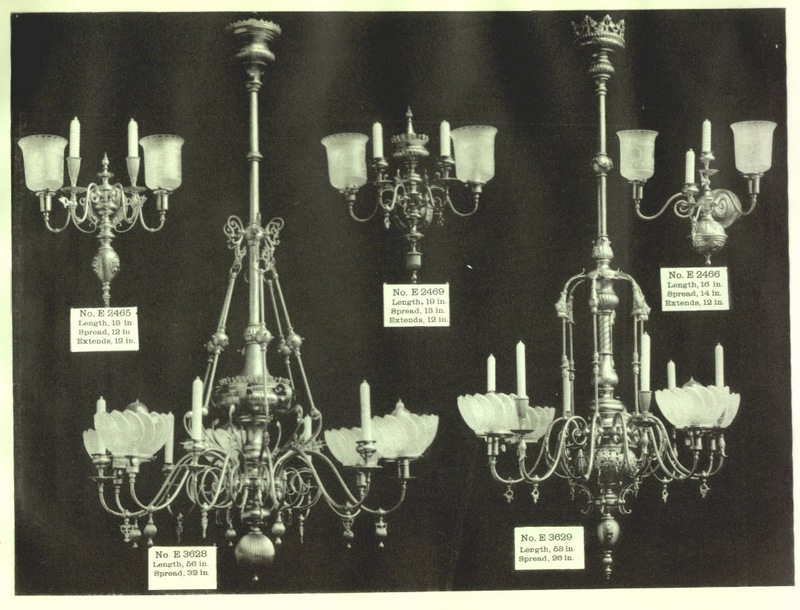 I particularly like the lower left chandelier. Not all gas arms required glass shades. “Candles” made of ceramic offered the look of real candles. Oh baby, I would kill for this. 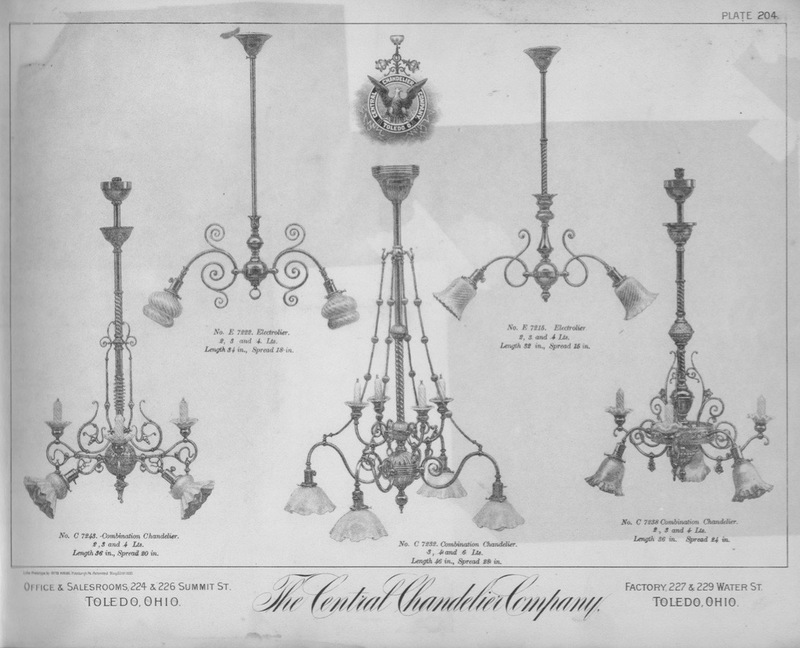 1893 catalog by the Horn Brannen & Forsyth Manufacturing Company. The lower left chandelier makes me drool, but was, I suspect, more elaborate than what the Cross House likely had. The house, while quite grand, was not over-the-top. 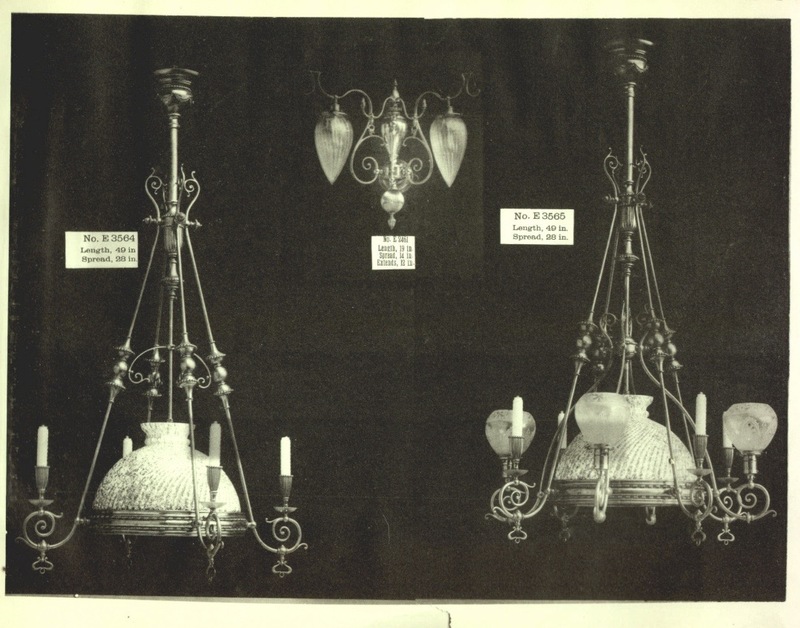 The two lower chandeliers shown here would have been in a limestone mansion built for a Carnegie or Vanderbilt. I think. These chandeliers are, I suspect, more like what the Cross House had. 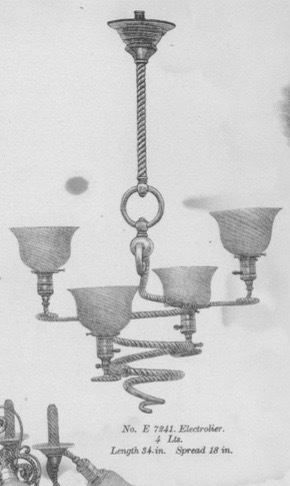 The center pendant would have been for an entrance hall. 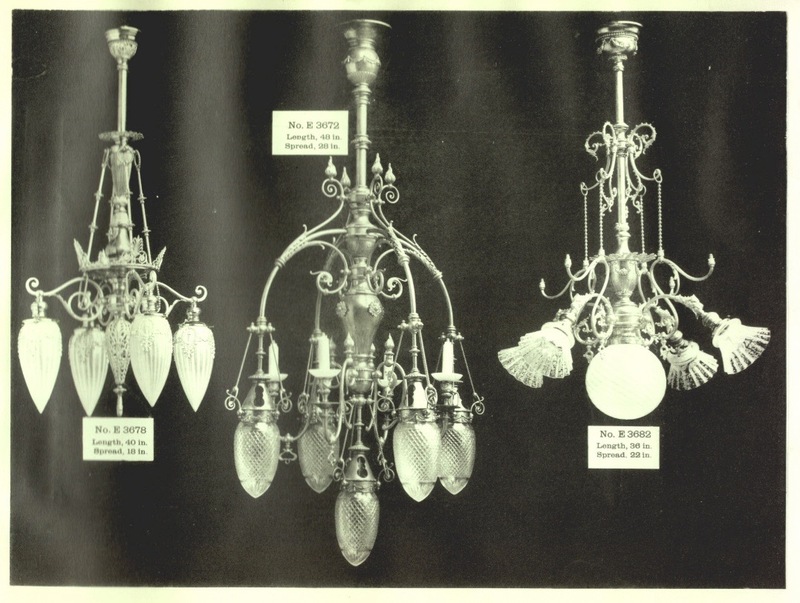 Chandeliers such as this (bottom row) were common over dining tables. The three sconces (top row) would have likely been too elaborate for the Cross House. 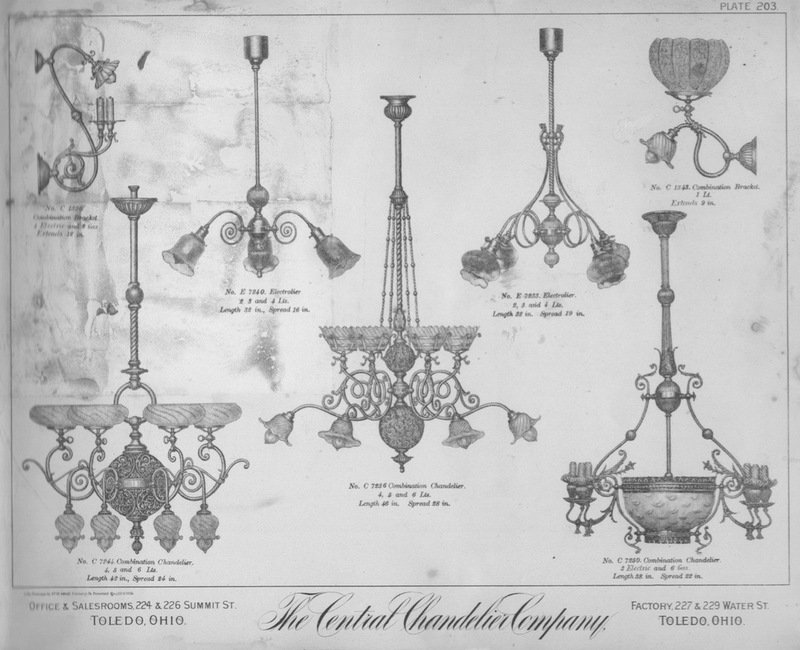 The two chandeliers are of interest because while early gas arms pointed UP, and electric arms normally DOWN, all the arms on these combination chandeliers point up. Style-wise, these sconces are, I suspect, more in keeping with the Cross House when built (although none are gas/electric). I would kill for the one middle right. Dragons! These sconces all swivel, which is something I need in at least four locations. Of note here is the center fixture. It is very plain and would have been intended for a kitchen. Early lightbulbs were very dim, and one had to cluster them together to get any real light. Today, such fixtures are incredibly rare, and this one would be worth about $1800. I know! 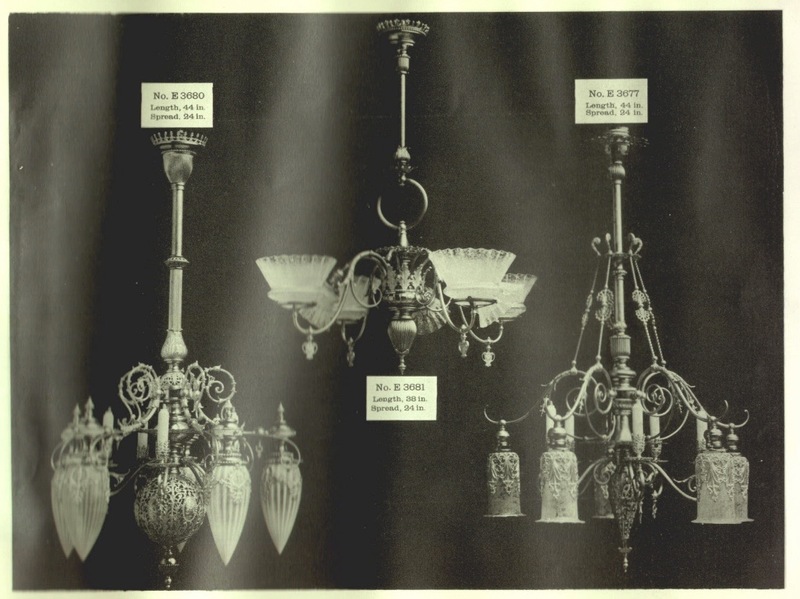 The chandelier on the right, fully restored, would be worth around $4,500 today. Or more! 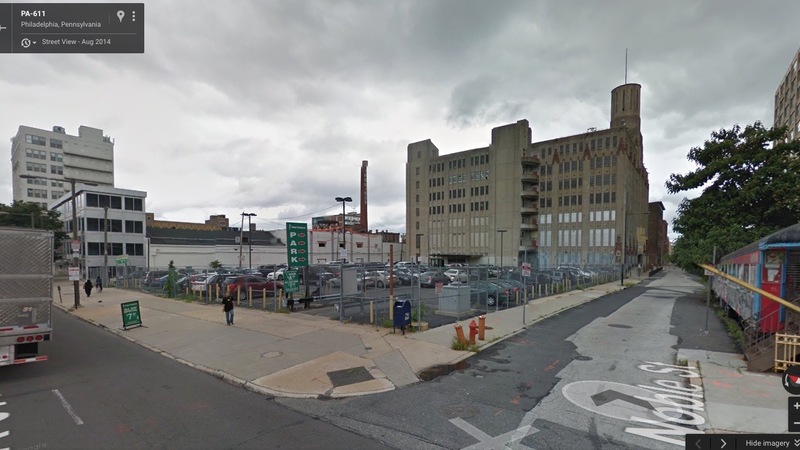 In 1905, Horn & Brannen was at 427-433 North Broad Street in Philadelphia. A vacant lot today. Sigh. 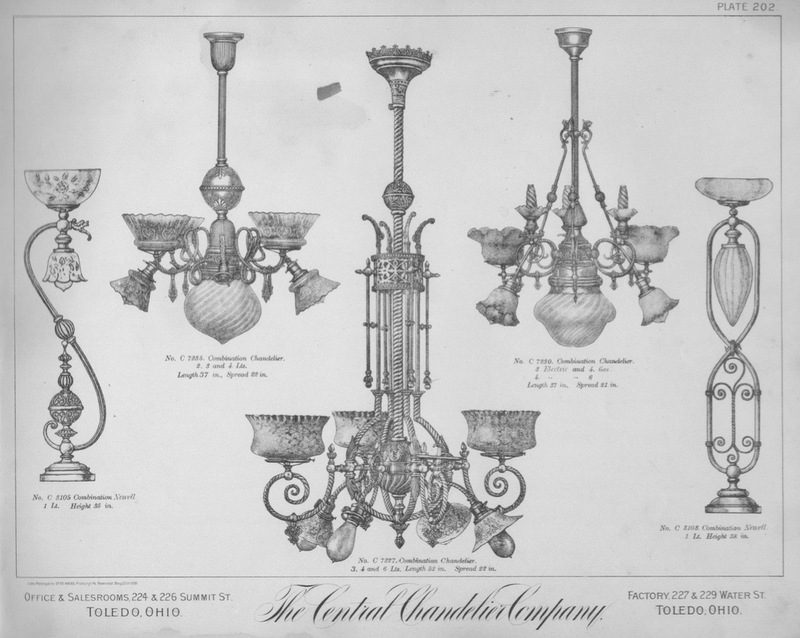 Gas/electric fixture were an extraordinary innovation starting in the late 1880s. Their popularity however was brief. 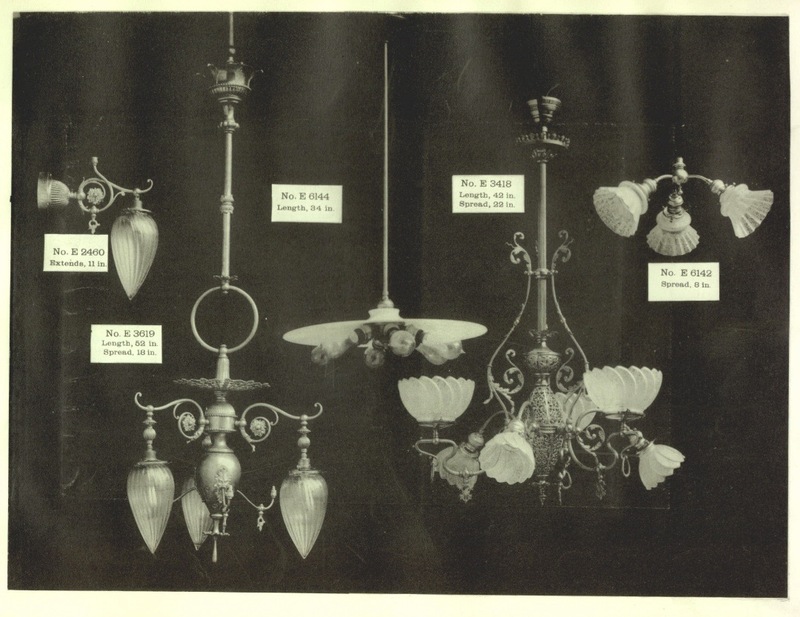 Within a decade, manufacturers were offering electric fixtures, and in a 1909 Williamson catalog, the gas/electric fixtures were at the back of the catalog (although gas/electric combinations were still being sold through to the 1920s, and beyond). Gas fixtures remained available in the first part of the 20th-century as some rural areas of America were not electrified until after WWII. While the gas/electric lighting in the Cross House would have been the very acme of modernity in 1894, just ten years later it would have already seemed a bit passé. My huge learning curve has been mentored by the brilliant Bo Sullivan. While Bo and I have comparable knowledge about post-1920s lighting, Bo is all-knowing about Victorian-era lighting (as well as a great many other things), and it is great fun talking with him. Thanks Bo! Ross, thanks for sharing your passion for lighting (and old houses) with all of us. First, one major feature of electric lighting – often overlooked today because we take it for granted – is that it could point down and illuminate the area directly beneath it. Candles, oil/kerosene lamps, and gas fixtures all cast a shadow directly below due to the burner. This was a BIG deal. Early attempts to circumvent this are so-called “angle lamps” and the antique store staple “student lamp” with its offset burner that tried to create light for a work surface for “students.” The fixtures above with large central dome shades were another attempt to cast even light from a gas burner onto a surface below. 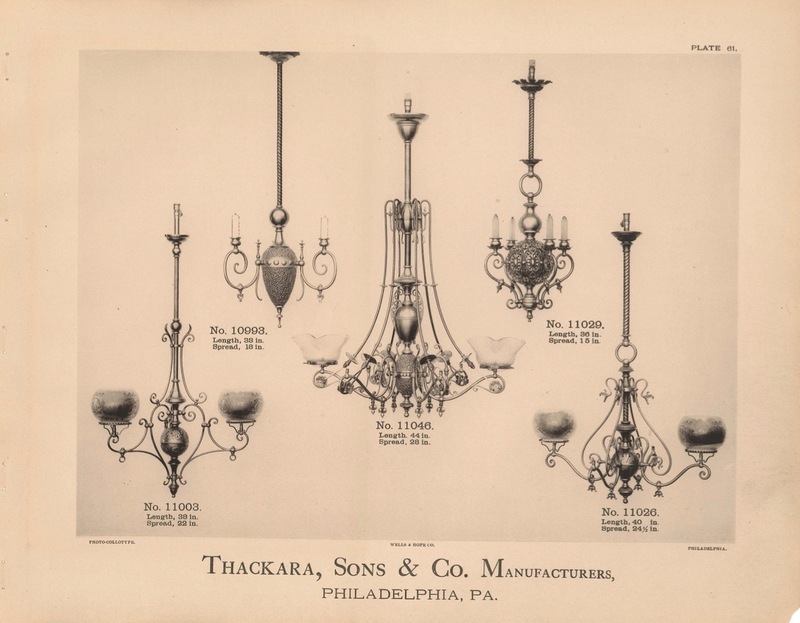 As for the shift to incandescent gas mantles from open flame jets – a burner technology known by the name of its inventor, Welsbach and familiar today in Coleman lanterns – this occurs in the early 1890s, accelerating in use after 1893. Brighter and more efficient, Welsbach burners helped gas remain competitive with electricity. In 1894, the burners would have all been open flame jets, in a rat-tail, fish-tail, or bat’s wing flame shape. Gas (which was formulated for light output, not heat output like today’s natural gas) remained common and competitive with electricity right up until the period following the introduction of the affordable drawn-tungsten-filament bulb around 1910, which was three times brighter for the same wattage as the carbon-filament bulb. Tungsten bulbs were the final nail in the coffin for gas, and after about 1913 combination fixtures become nearly extinct. Also, until after 1900 gas always pointed up, there was no such rule for electric sockets, which were used up, down, and sideways. 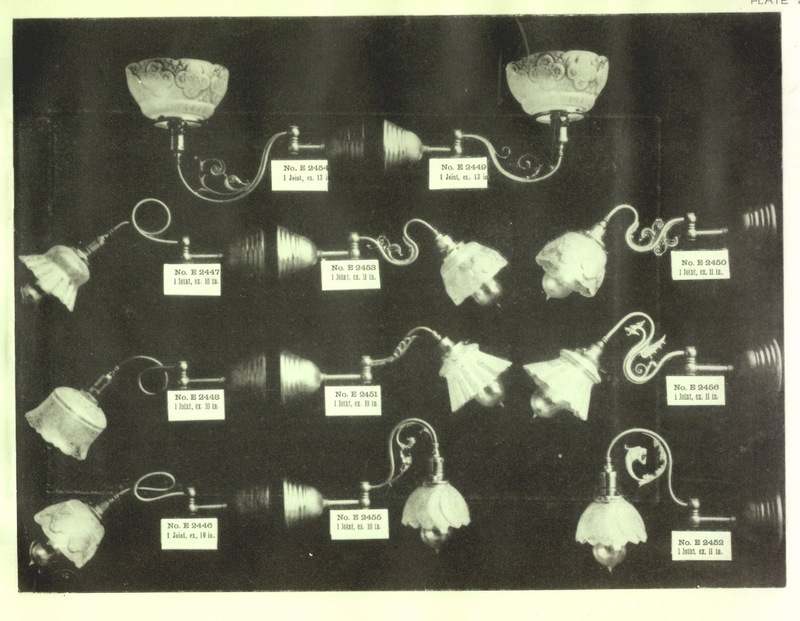 Also, bulbs went from hand-blown to machine-blown in 1892, regularizing their shape into the familiar pear form. Thanks Bo for the extremely informative comment!!!!! my ancestors particularly my grandfather were very progressive. Electric lights from the power company did not come to my rural road until after the turn of the century but my family had them around the early 90’s. my great grandfather and grandfather had a generator powered by a single cylinder gas engine – probably a Knox. my dad said when they finally removed it, they took it apart and the cylinder was the size of a dinner plate. they also went out and bought all the workings of an old mill and ran the shafts and belts and pulleys all through the barn and sheds and pumped water (we had a windmill too), milked cows, pulled hay into the mow, ran drill presses and grindstones etc. the electric wires were run on ceramic insulators on the ceiling – two wires about 4 inches apart and the bulbs were all those clear glass ones with the pretzel like wire inside. How do i know about the bulbs – because up into the 1960’s, our plumbing wasn’t as progressive as our lights and there was one of the original bulbs in the indoor outhouse in the shed. it still worked well up into the 90’s when i finally sold it to and antique dealer. when my ex-wife and i moved into the old house after the death of my father, i started researching the electrics since lights were flickering and fuses blowing and found that in many places in the attic, the mice had dined on that tasty tar covering on the wires and there were long stretches of plain bare copper – YIKES!!!!! our plumbing was progressive in that we had outhouses on both first and second floors – a 4 HOLER downstairs and a 2 holer up. i could never figure why all the holes until my dad pointed out (embarassingly) that men and women are shaped differently thus two holes. The Foursquare farmhouse in Illinois that my brother currently owns was built in 1910 by my great-grandparents with all electric lighting powered by a battery bank and similar single-cylinder gas engine-powered generator. They didn’t receive rural electric utility service until at least a decade later. Thank you for this article. I’ve recently discovered that the Horn in Horn and Brannen was my 3 rd great-grandfather. Very cool information! It’s interesting to put what we now know as “old” technology into the proper perspective that it was cutting-edge new tech at the time. Kind of like a new home today with color-adjustable LED fixtures controlled by a central wireless touchscreen. Our home in Omaha was built in 1912 with combination gas and electric lighting. Some fixtures were combination, some were gas or electric only, interestingly enough. Sadly only two original combination fixtures remain: simple sconces in two bedrooms with candle-style gas and a downward-facing angled electric bulb. Finding appropriate teens/twenties electric fixtures hasn’t been that difficult, but I really would like to know what the missing fixtures looked like, especially the newel post lamp.